Eighteenth century French binding models made in Historic Book Structures for Conservators 2017 workshop. 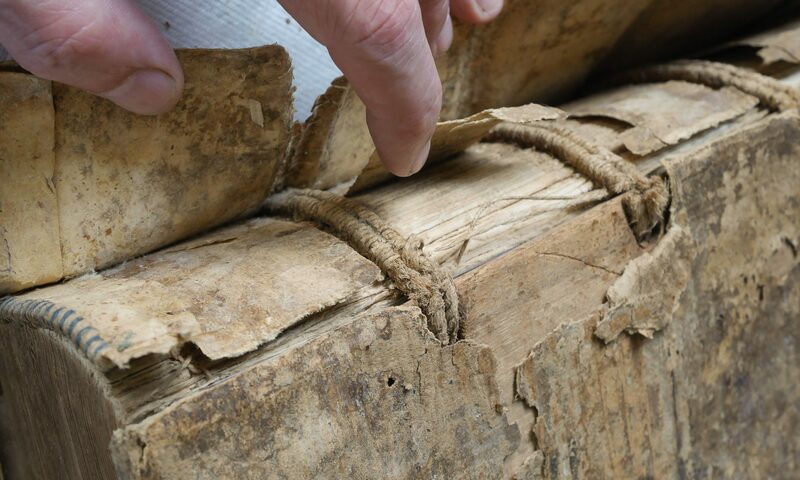 This workshop will focus on reconstructing a typical 18th century full leather French binding by comparing and contrasting three 18th century technical descriptions, examining extant bindings and using historic tools. In some respects, this structure is the end of 1,200 years of utilitarian leather binding; fifty years later, the cloth case becomes the dominant inexpensive rigid board structure. The making of the book is very organic and does not rely on numeric measuring. This class is a hands-on explication of historic written texts. We will try to understand how and why these books were made the way they were made — then model as many aspects as possible — all the while acknowledging our inaccuracies and incomplete understanding. Reproductions of 18th century French tools, constructed from plates in Diderot’s Encylopedie (1751-1780) will be available for use. Participants will learn to use and maintain a plough and investigate the problems in translating written descriptions of bookbinding into the construction of a model. Extensive notations (in English) on Gauffecourt’s Traite de la Relieure des Livres (1763) and Dudin’s L’Art du Relieur-doreur de Livres (1772) will be provided. 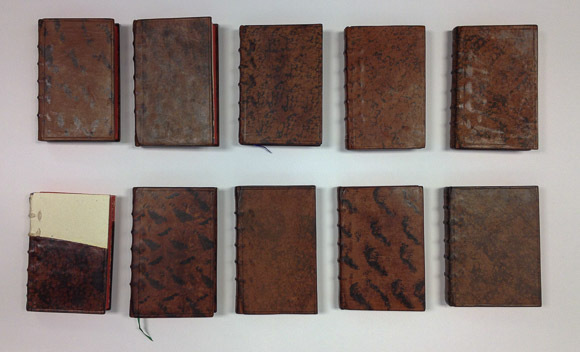 Basic bookbinding skills are a prerequisite, but this class can serve as an introduction to leather paring. Discussions will include treatment decision making for this particular structure in relation to institutions and private clients. This class is open to all levels of experience: pre-program students, technicians, and mid-career conservators who desire a full week at the bench. Ideally, a variety of participant experience levels will result in an invigorating exchange of information on binding techniques, institutional protocols, and treatment approaches. Students should bring basic bookbinding tools. To apply, applicants must submit a resume and brief, one-paragraph statement of intent. Prospective students should outline educational hopes for this class, and review their background in book conservation, bookbinding, or other crafts.